With clients as diverse as oil and gas companies, schools, universities, outdoor centre, government agencies we specialise in designing unique training courses, tailored to your needs. We continue to strive to match up to the feedback that we get from our clients that we're approachable, professional, personal, able to provide value and quality, adaptable, fun, individual, innovative and honest. We're passionate about what we do and therefore always delighted to hear from you with questions – be that about what courses would suit you best or just for informal advice for a project you are planning. Our team are enthusiasts as well as experts. We're always happy to chat so just get in touch with any fieldwork safety or outdoor skills questions. Richard has many years' experience in developing companies and managing teams, in both large organisations and smaller companies. In his spare time, Richard has travelled extensively - usually on sailing or mountaineering trips, which have included climbing Kilimanjaro and Aconcagua. 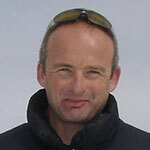 He has skippered yachts in the Fastnet Race and Three Peaks Yacht Race. In 2005 he competed in the Trans-Atlantic Rowing Race from La Gomera to Antigua with his wife, arriving in 6th place and setting a record time for a couple! In 2009 he cycled the route of the Tour de France to raise money for a cancer charity. In 2013, he sailed solo across the Atlantic in a 21ft yacht to raise funds for Sobell House Hospice in Oxford. 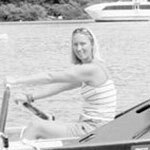 Liz initially worked in the outdoor sector as a sailing instructor in 1998 having completed a degree in Marine Geography at Cardiff University. After sailing a yacht singlehanded to Greece at the age of 21 she realised she should probably get a 'proper' job and pursued a graduate career in Marine Insurance in London. She remained in insurance for 13 years during which time she managed a few escapes from the rat-race to; row across the Atlantic in 2005, compete in various triathlons and then in 2008 and 2010 to have two children. Now, facing the challenges that all mothers have of balancing childcare with work, she has left the suited and booted world of insurance to pursue life back in the outdoor sector. She has most recently competed in Ironman 'Nice' during the summer of 2014. Liz joined TE in September 2014 to assist with course coordination and logistics and works mainly from home. Caroline qualified as a doctor in 1998 initially specializing in emergency medicine, pre-hospital care and tropical medicine. From 2002 to 2004 she worked in Khartoum, as the Medical Coordinator for MSF, responsible for setting up MSF’s emergency programme in Darfur, before returning to practice in South London. From 2010 to 2013 she was based in Nairobi with her family, working in remote areas and providing regional Remote Trauma courses for military, diplomats, wilderness healthcare professionals. She now works as a GP in Hampshire. 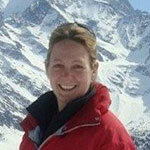 As well as working with Training Expertise, she is a WEMSI instructor and an instructor for REC. She holds the PHTLS and APLS. In 2005, she skied 600 km in the Arctic to the Magnetic North Pole, and in 2011 and 2012 ran the Lewa Endurance Marathon on the equator at over 6,000ft - adding to her first-hand knowledge of medicine in rather extreme and unusual environments. In 2014, she completed her first Ultra-marathon, the 100km Race to the Stones along the Ridgeway. Matt has planned, led, supported and participated in remote expeditions all over the world. He has, lived, worked and provided care in arctic, desert, jungle and high altitude environments. 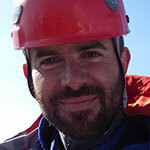 As well as being a GP, Matt is a qualified Wilderness Physician and a Fellow of the Academy of Wilderness Medicine. He is also one of the Medical Directors of WEMSI-International. Matt is an experienced trainer who is able to offer tailored courses specifically to meet clients' needs. TE has a small network of expert trainers who we match to our clients' needs. Our trainers have expertise in a wide variety of fields, from medicine to driver training, personal development, incident management, teamworking and communication. Their experience also encompasses a wide variety of environments including arctic, jungle, desert, high altitude, sub-aqua and the open ocean.